On Oct. 6, Belmont hosted the Brazilian Study Group for talks about university education of financial planners and how to develop ethics in a profession. These talks were led by Brad Childs, associate professor of accounting, and Barry Padgett, professor of business ethics. Fred Kendall, who serves in the Development Office, helped participate in these discussions as well. The group was escorted around Nashville during the week by Michael Wallin, task force chair for the Annual Conference of the Financial Planning Association. Wallin is a graduate of the financial planning program provided by the Center for Executive Education in Belmont’s Massey College of Business. 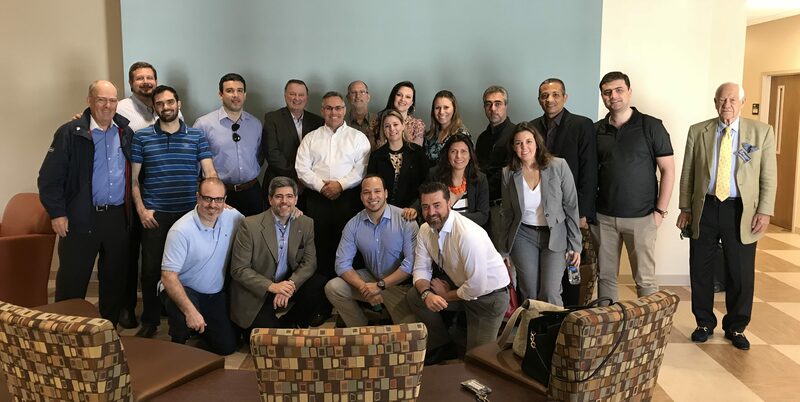 The Brazilian Study Group’s purpose is to develop a financial planning profession that is on par with the profession that is practiced in the United States. Tobias Maag is the founder and leader of the Brazilian Study Group, and he was one of the task force members for this year’s annual conference that was held in Nashville. Tobias is an international wealth expert, and he has organized other Study Groups for family business owners and heirs in both the United States and Europe.